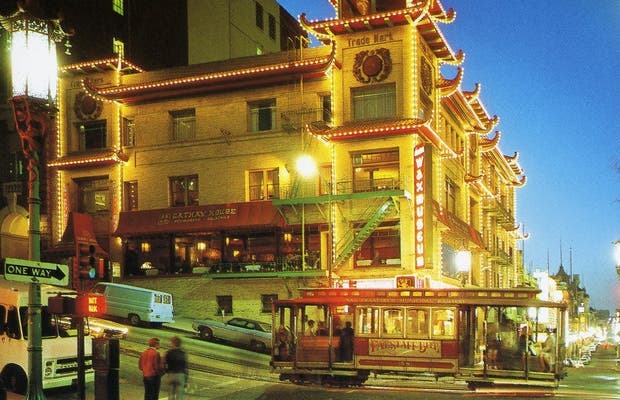 As in most major American cities, there is a Chinatown. Providing food, restaurants and all products Chinese, these are always interesting places to visit. This lake is located close to the the fort and is an oasis in this arid environment. It was surrounded by sacred Hindu religious buildings. Today this rural lake is clear and a nice place to visit. It is surrounded by souvenir shops and one can rent a paddle boat (but I don't know the rates). It is a place to see at the end of the day if you have time. I've been to Chinatown in NYC. Boston and Chicago and this is my 2nd favorite. Nothing beats NYC Chinatown, but the people here were very friendly and the people ve live there aren't trying to hustle you or sell you something on every inch of the sidewalks. It's truly a community that visitors get to immerse themselves in.